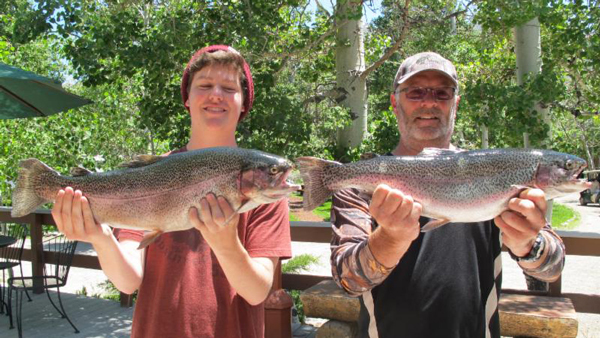 We had another great week here at Convict Lake. The fishing has been outstanding. 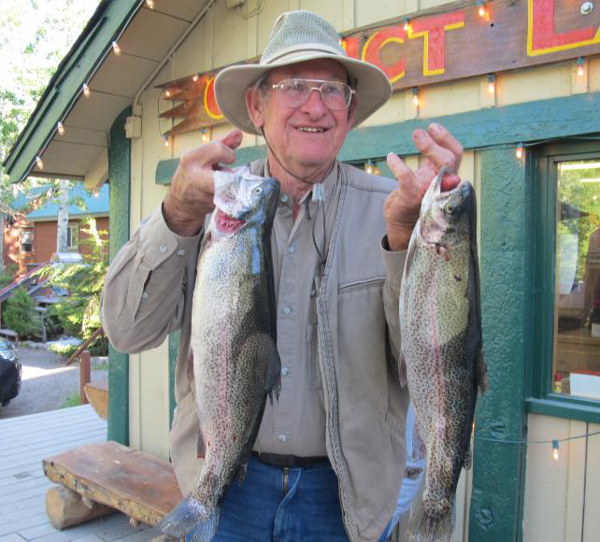 The month of June is "learn to fish" month so we have been sharing photos and stories of those who learned to fish at Convict Lake. Share your stories with us for a chance to be featured on our social media pages. Above is a father teaching his son to fish for the first time. We did have some pretty great weather at the lake this week, although we did have some high winds which interfered with our marina and horseback operations. We are very sorry for any inconvenience that this caused for our guests. We are looking forward to an awesome week with some great weather. Fishing at the lake remains great. Bait fishing has been the best. Especially inflated night crawlers and Powerbait. Thomas Buoyant Lures have also been hooking fish. If you are in need of some bait or lures stop by and visit our general store, we've got all you need! Our derby ends this Thursday the 15th, so if you are coming up this week be sure to enter our derby before it comes to an end! 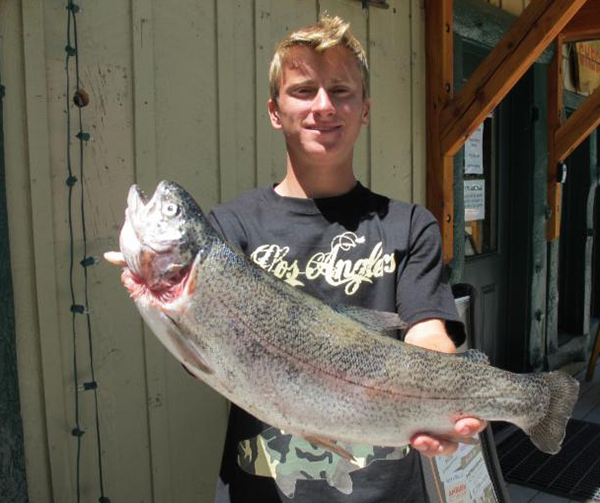 Mono County will be stocking the lake next weekend with about 400lbs of 6-9lb fish! Thanks Mono County! This week we are expecting temps in the mid 70's to high 80's with sunny skies. Nighttime temps remain in the high 40's into the 50's. We received some rain last night and Mammoth received about an inch of snow last night. Can you believe it? its June!